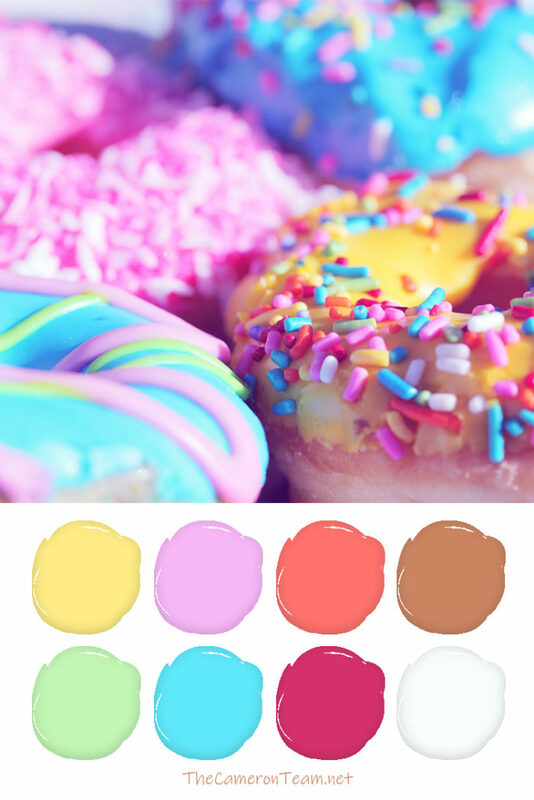 Are you looking for inspiration for your next DIY project, room makeover, or digital art project? 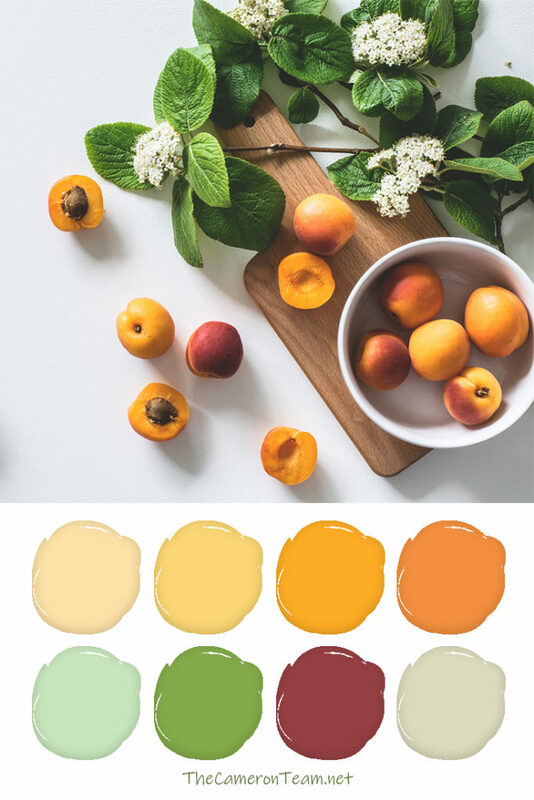 Extraordinary color ideas can come from some of the most ordinary places, so take a look around you the next time you’re out and about. 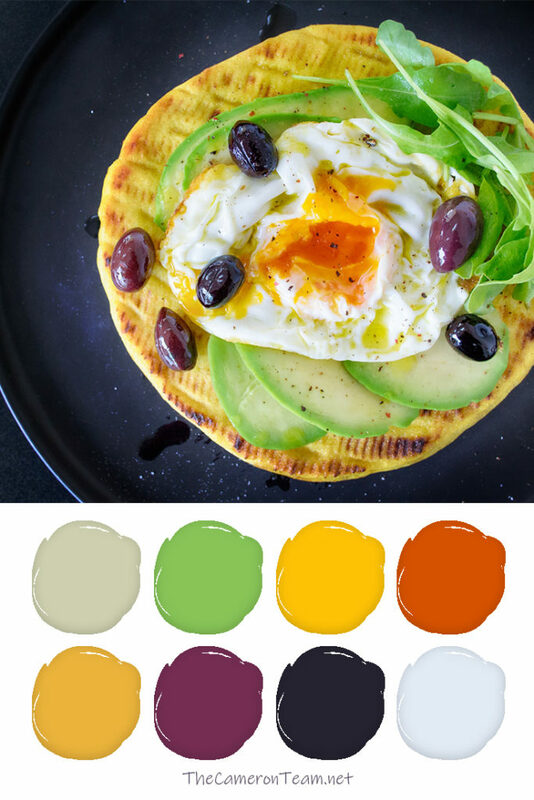 Below are 20 color palettes inspired by food that we see everyday. After you peruse them, tell us which one is your favorite in the comments below. 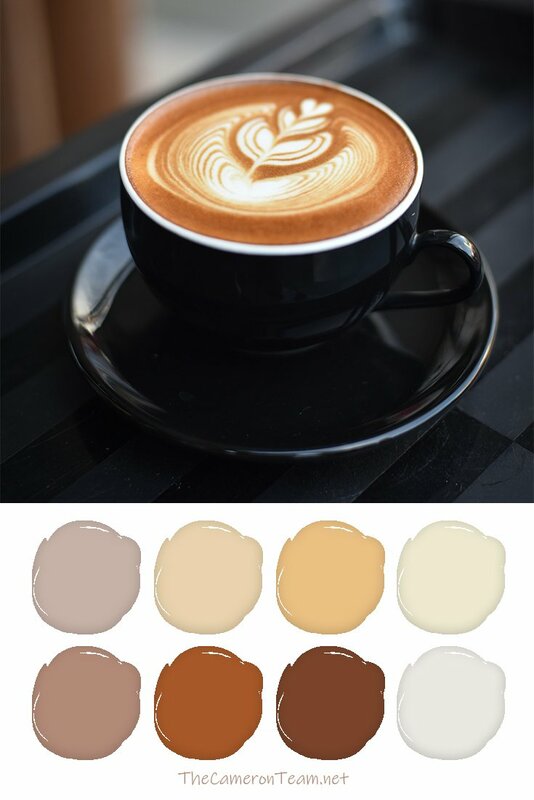 A color scheme for those of us who don’t drink coffee to wake up but wake up to drink coffee. When your kids want an exciting room makeover, this palette will bring. 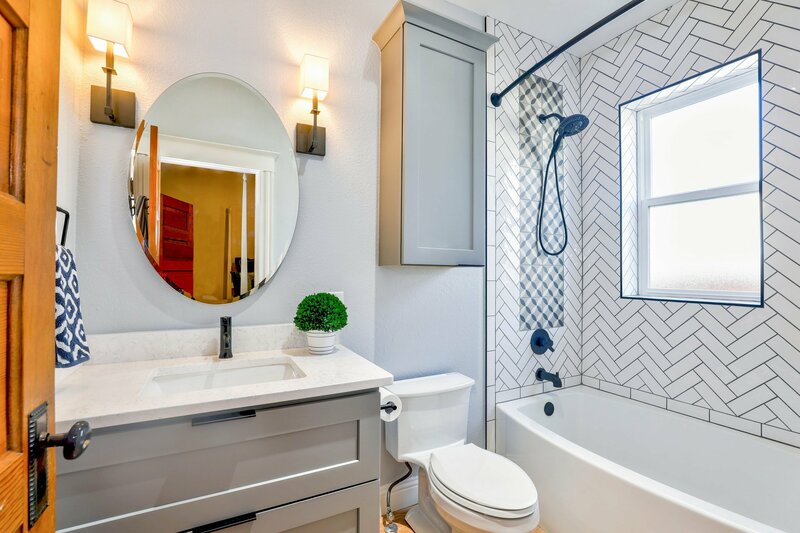 The best thing about it is the clear divide in colors, which would make it good for two kids who have to share the same room but want their sides to be different colors. 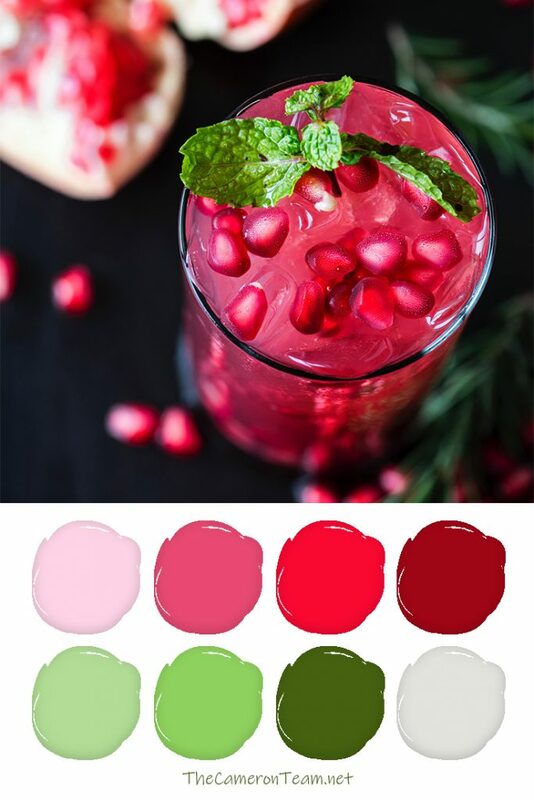 This palette feels so refreshing! It would look great in a breakfast nook or sunroom where you need a recharge. Want to feel like you’re on vacation? 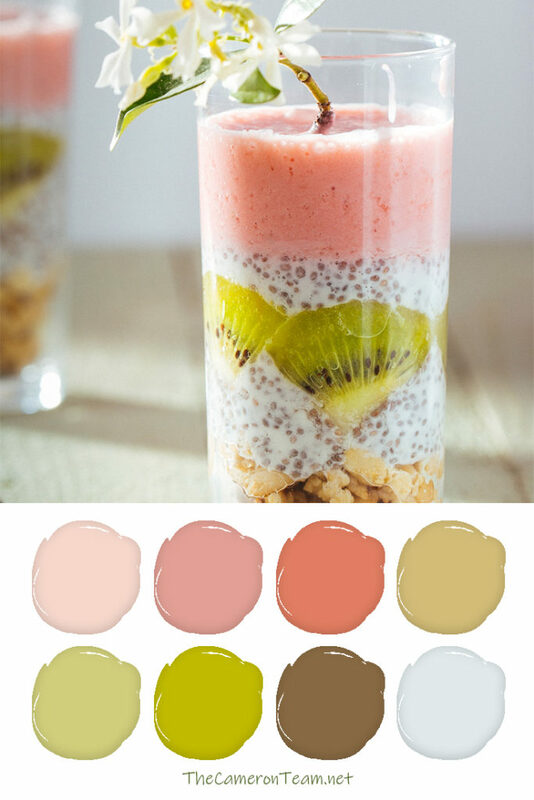 This palette is a little bit tropical. 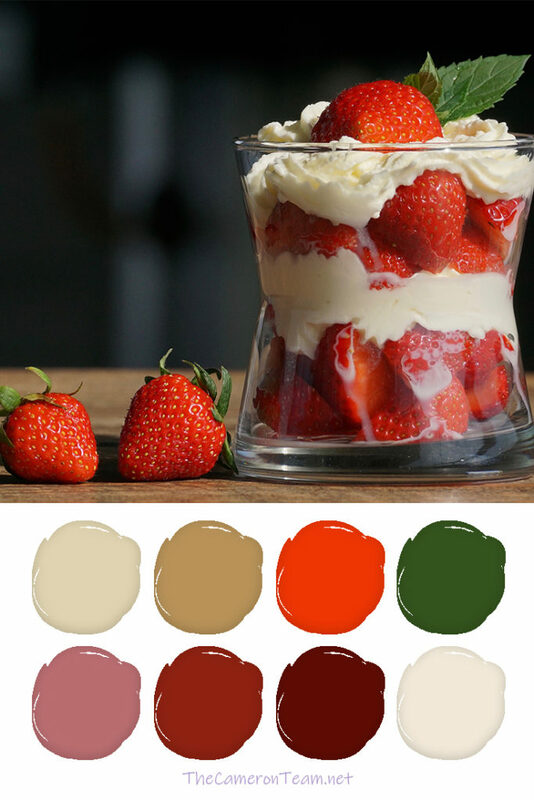 When you need a burst of color for an accent piece, these berries will provide it. 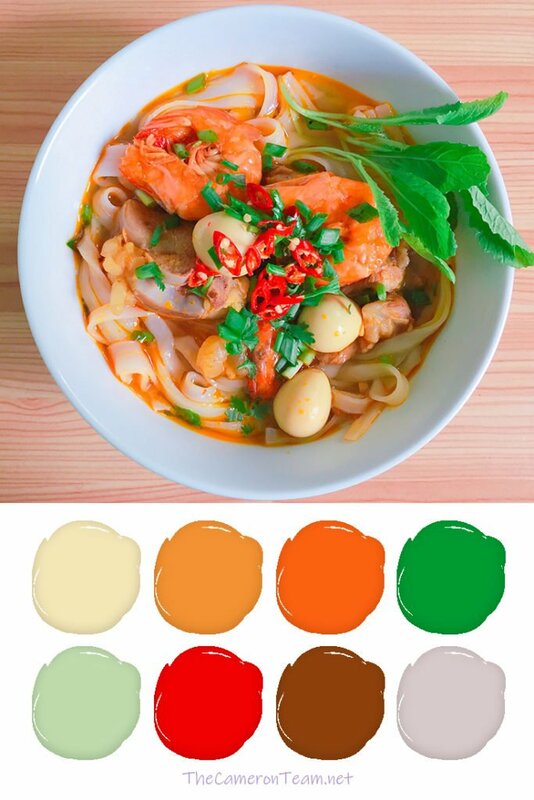 This palette is incredibly mellow – perfect for a place of zen. 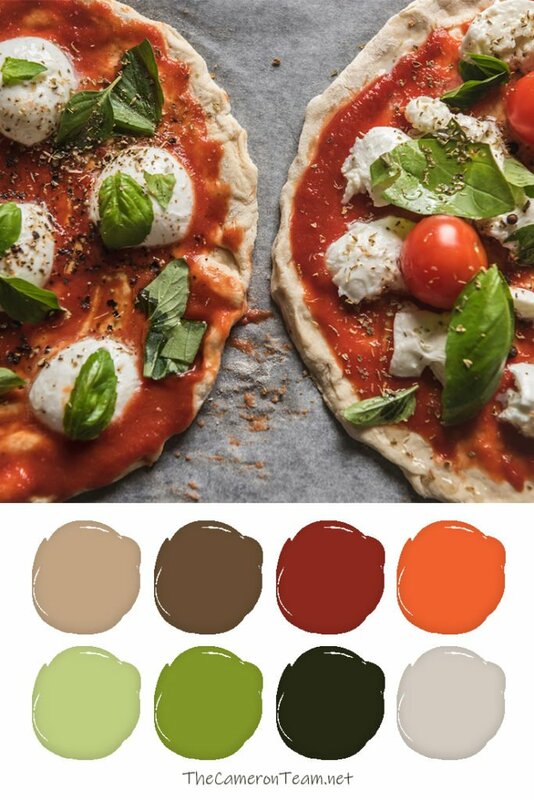 We have to call attention to the fact that two colors in this palette are incredibly Gryffindor-esque. So, when you need to find some other colors to compliment your Harry Potter collectibles, we’ve got them for you. 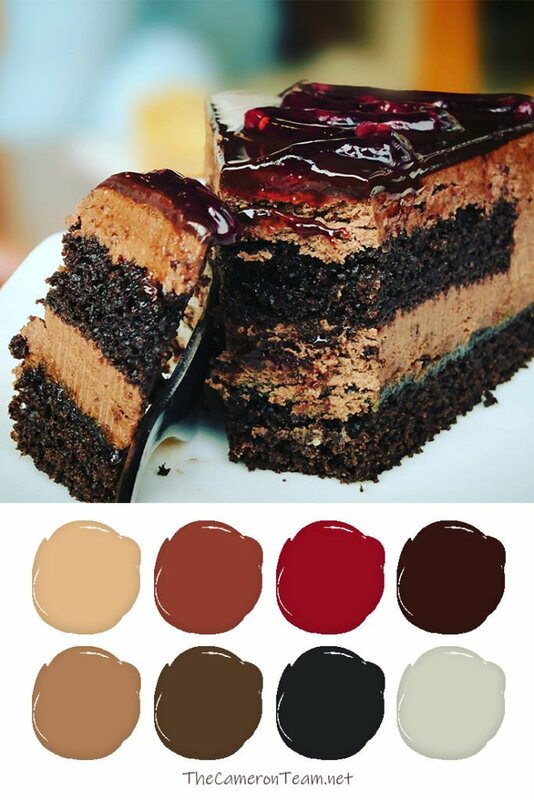 Because you can never, NEVER have enough chocolate, let’s decorate with it too! 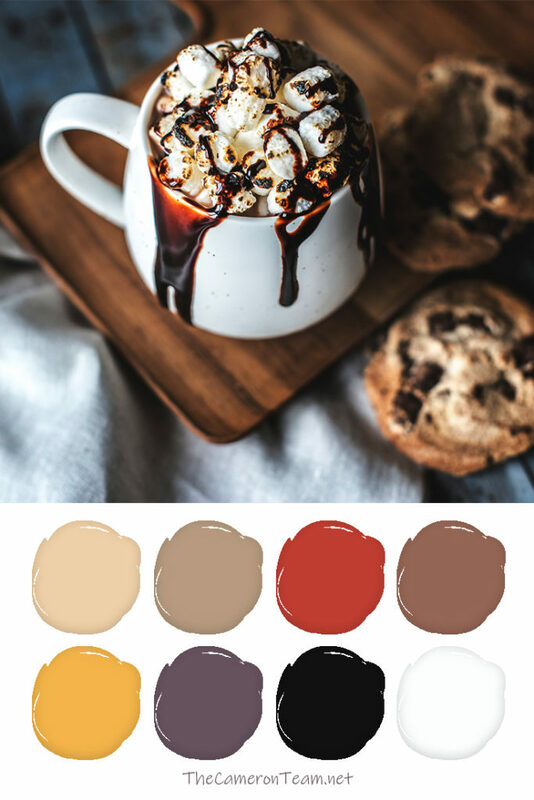 One would think that chocolate chip cookies and hot cocoa with marshmallows would be all shades of brown and white, but there’s much more depth to it. Just look at what that chocolate syrup and char brought out. 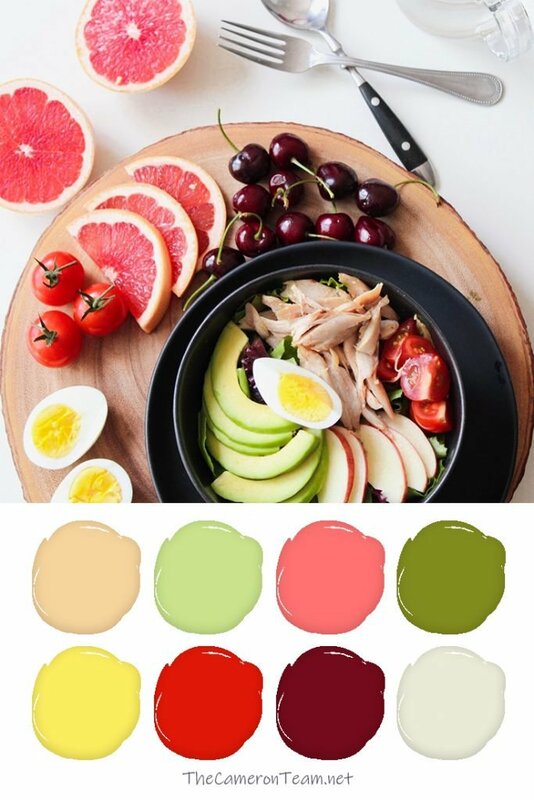 Fruit and chicken create a surprising spring color palette – great for decorating your fireplace mantel. 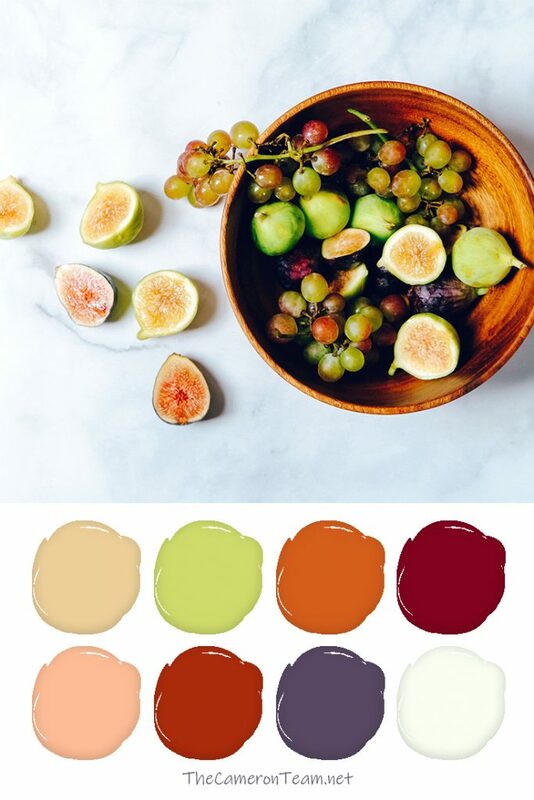 Guava and grapes are all you need for a fall style color palette. 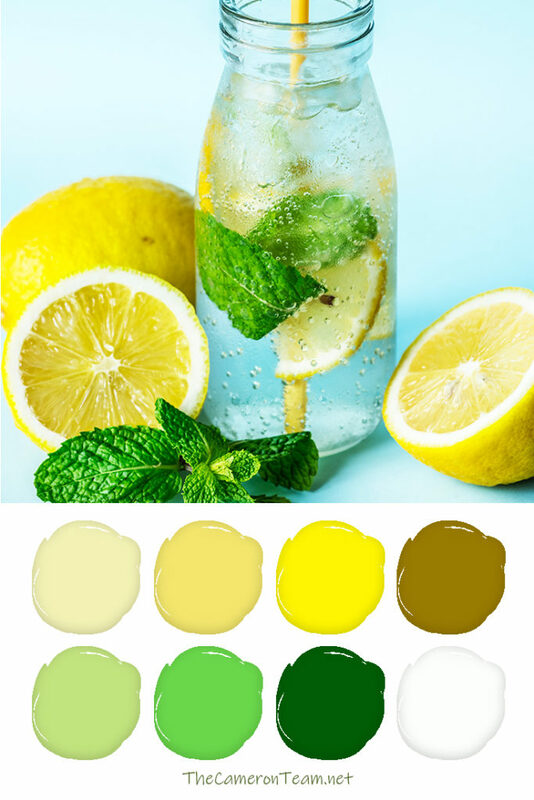 Lemon water’s color palette is as refreshing as it is. 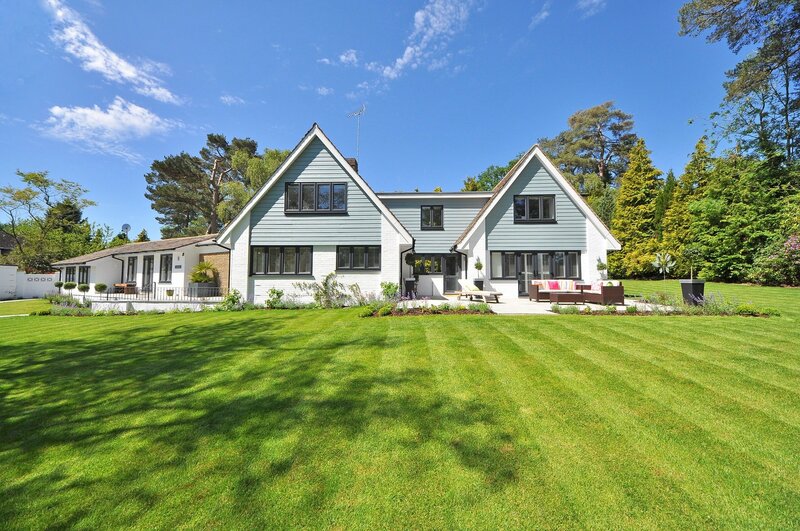 The cool greens and warm yellows create a nice balance. 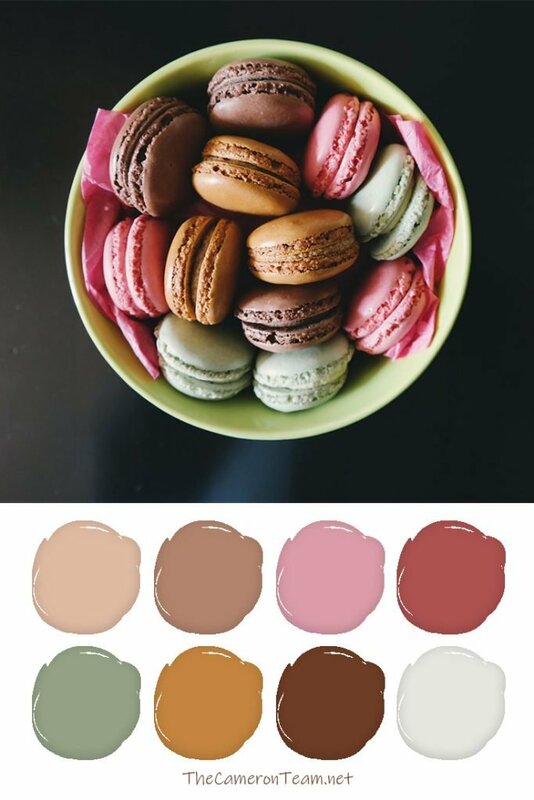 Macarons are sweet, but these ones create a pretty earthy palette. 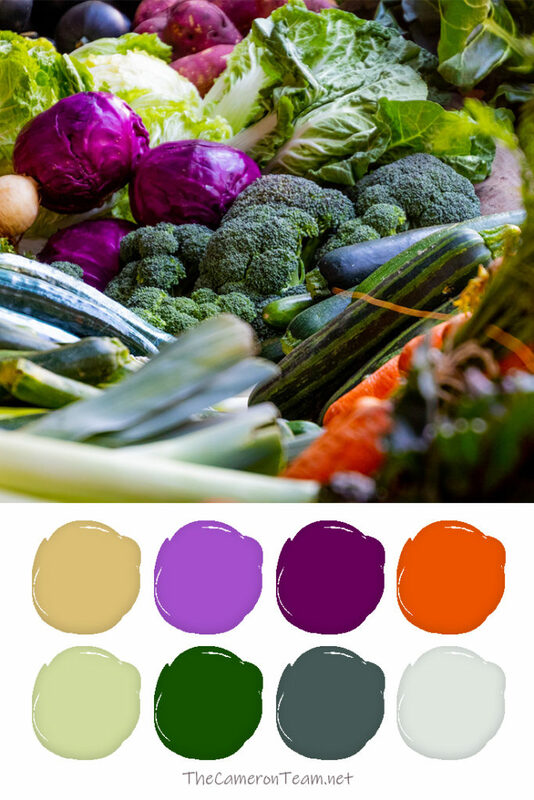 The vegetable grocery aisle may make some people cringe, but these sure are pretty colors. 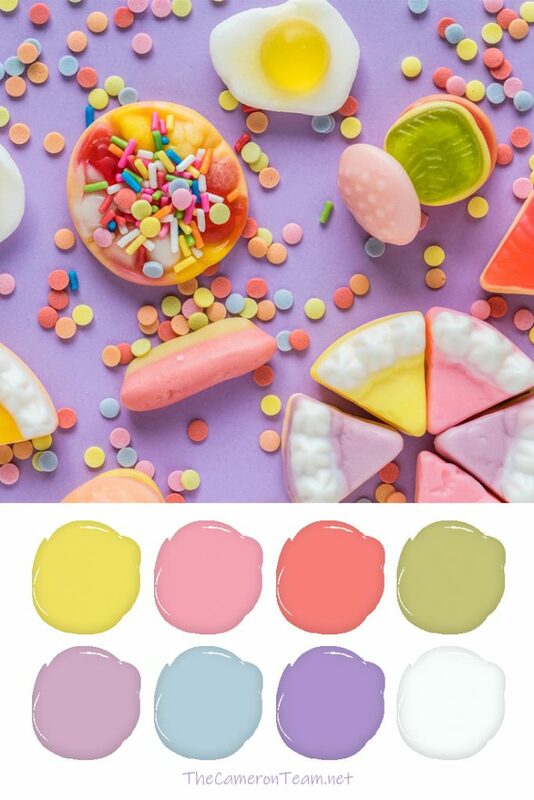 Need a nice pastel color scheme? Candies are a great source! Pizza isn’t just a last-minute meal staple. 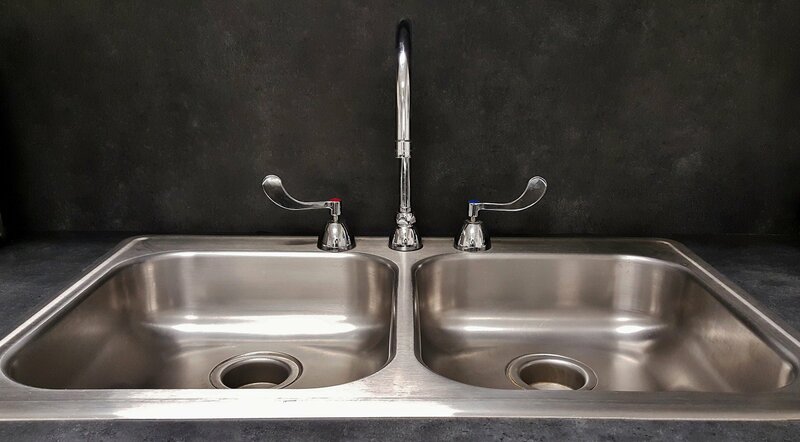 It’s also the perfect rustic color scheme. 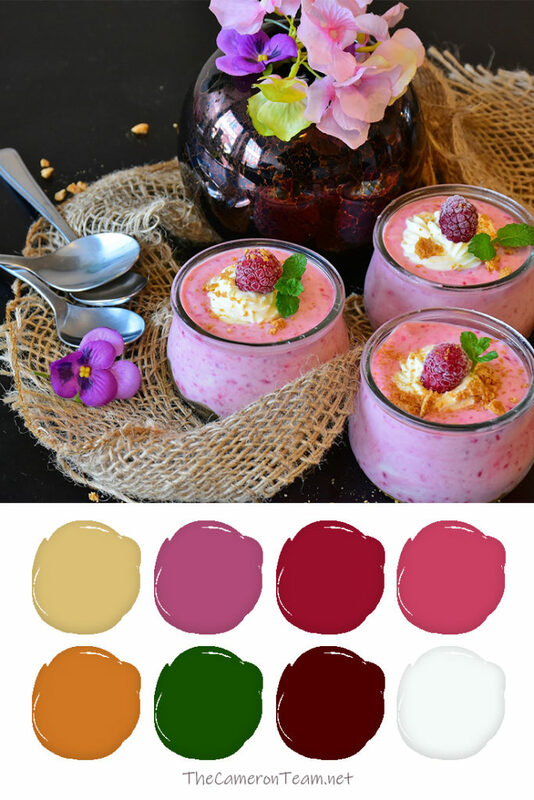 Raspberry cream is the feminine touch your next project needs. 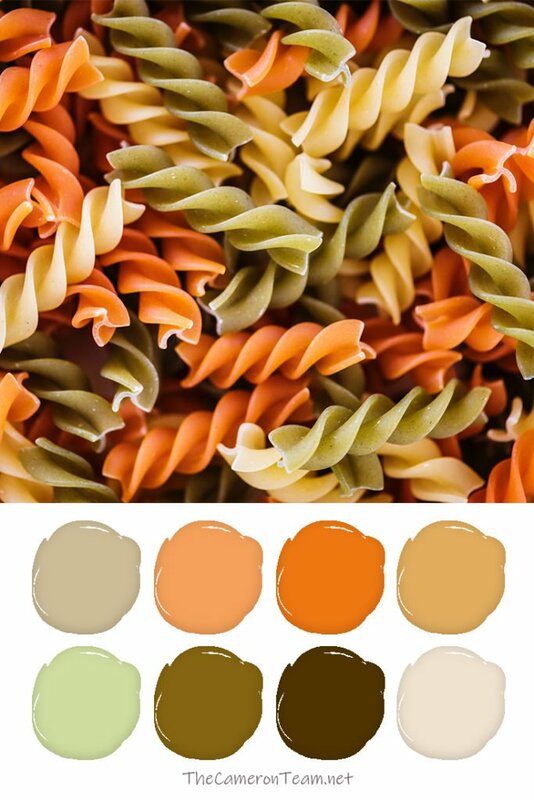 Who knew your mother’s pasta salad could inspire such a down-to-earth color scheme! Yum, yum, and yum! This has “wood pallet project” written all over it. Want to even more inspiration? 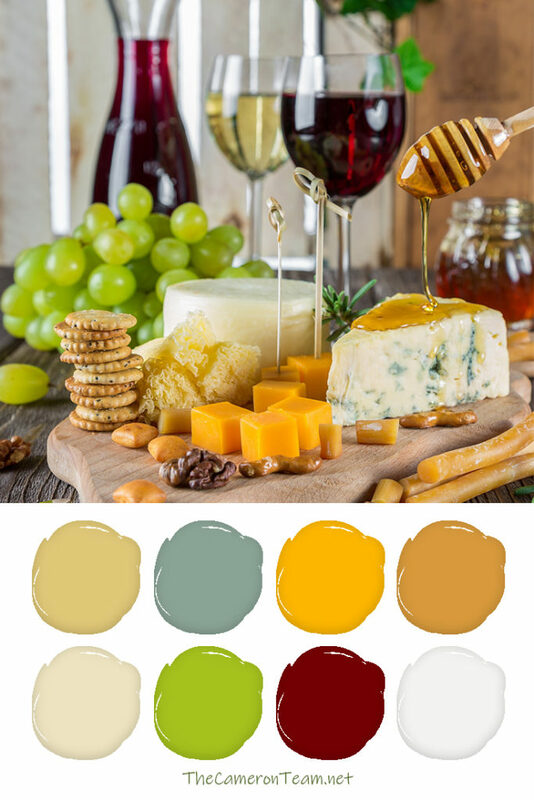 Check out our Color Ideas board on Pinterest. 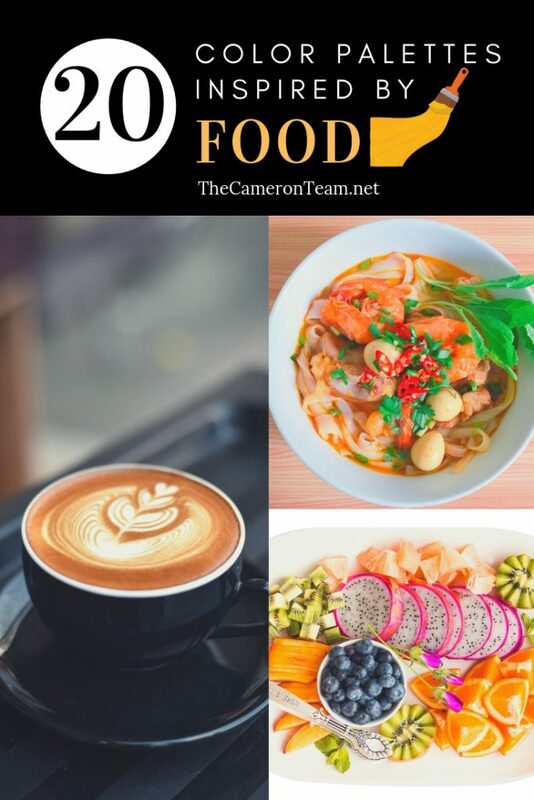 Don’t forget to let us know your favorites in the comments below!